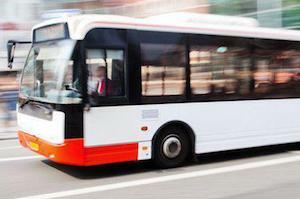 Have you been injured while boarding or riding a bus? Were you involved in a collision with a bus while driving your car, riding a bike, or walking? It may be possible to hold the bus company legally accountable to pay fair compensation for your injuries. 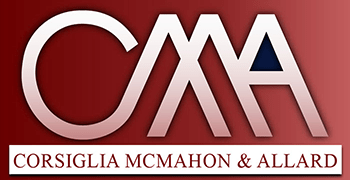 At the San Jose law firm of Corsiglia McMahon & Allard, L.L.P., our bus accident lawyers help injured victims pursue monetary damages from negligent bus companies. For a free consultation, contact us today. You will not pay a fee unless we help you win compensation. Call (408) 289-1417. Both public and private bus companies are considered common carriers under California law. Similar to other public transportation operators, bus drivers owe a high duty of care toward their passengers and are expected to take special steps to avoid causing accidents. One common type of accident involves a bus pulling away while someone is trying to board. This can cause serious and potentially fatal injuries, especially to frail or elderly passengers. Riders can also suffer whiplash and other injuries when buses collide with other vehicles. If you have been injured in an accident involving a city bus, shuttle bus, cross-country bus, or any other type of passenger bus, don not hesitate to contact us. Discuss your case with one of our experienced, respected San Jose bus accident attorneys. Call (408) 289-1417. We serve clients throughout the Bay Area, including Mountain View, San Jose, Santa Clara, Cupertino, and Los Gatos.